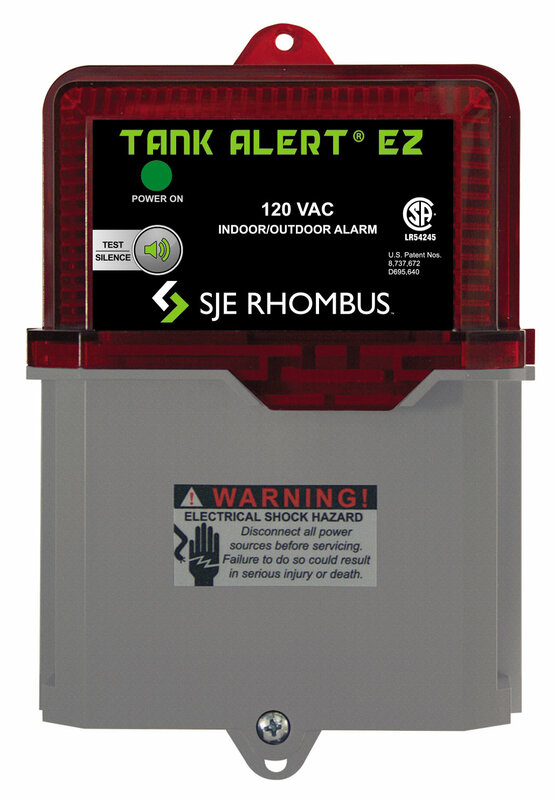 The indoor/outdoor Tank Alert® EZ alarm is easy to install and features an innovative, sleek 2-color molded enclosure which integrates the LED red translucent beacon. The alarm sounds and the upper housing half illuminates when a potentially threatening liquid level condition occurs. The audible alarm can be silenced by pressing the Test/Silence button, but the alarm light will remain on until the condition is remedied. Once the condition is cleared, the alarm will automatically reset. A green “Power On” light indicates power to the alarm panel. This alarm system monitors liquid levels in lift pump chambers, sump pump basins, holding tanks, sewage, agricultural, and other water applications.